As a 13-year-old girl, I always wanted the ability to fly. Then I’d be able to go to the beach during the muggy Michigan summers without begging my mom to drive me there. I used to spend the weekends sleeping until noon not knowing what to spend my abundance of time on. Now I’m 26-years-old and scrambling to find enough of it. Nowadays, I’d love to have a time machine instead. One that I could pause at will. I would use it to get Laundry Mountain off my bed without interfering with my Sunday family lunch. I could free up some time to mow my lawn that is taller than I care to admit. Then, I could finally put to use that haunting gym tag that’s hanging on my car keys. Running out of time has a domino effect on our lives. Sometimes it feels like there is no stopping it. At Faktory, we value dedication to our work as well as thriving in our personal lives. 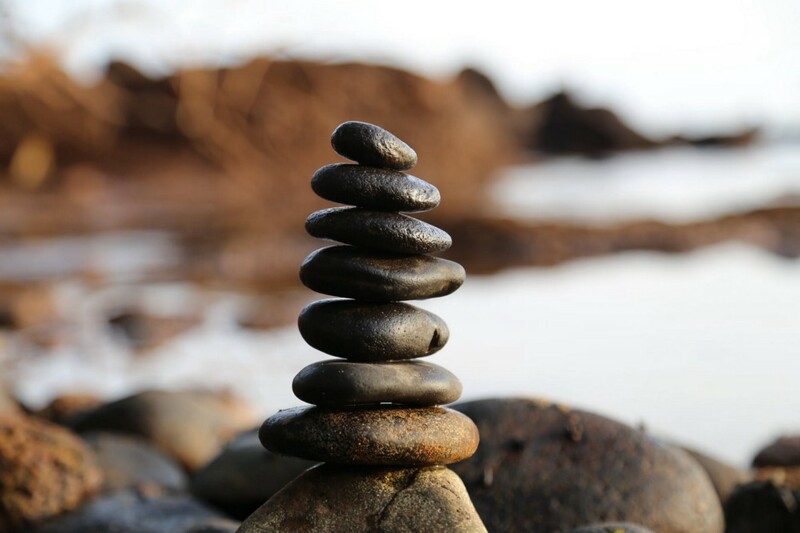 These are a few ways we try to incorporate “balance” into our vibrant schedules. We were designed to require rest. We need to do things that give us life and joy. Our to-do list might not always get done. But, do we ever ask ourselves if it was doable in the first place? We aren’t robots, so we can’t expect to function like them. Strive for excellence in your day, not perfection. Identify who and what matters to you on a daily basis. It’s easy to get distracted when we are spread thin. It takes a while to decide what is worth sacrificing to make time for something, or someone, more important. Decide what is important to you. This is crucial to prioritizing and trimming activities that are making your dominoes fall. It’s hard to know how to find the balance in our time if we don’t even know what we spend our time on. Think big picture. Discover how much time you spend in all areas of your life. Decide which areas are lacking and the ones that have too much attention. Money doesn’t grow on trees, and neither do minutes. Treat your time like you would money – make a budget and stick to it. Give your care and attention to where you are in every moment. It’s hard to be intentional if we are constantly just trying to get the next thing done. Allow yourself to be present by removing distractions. Put your to-do list away. It’s hard to admit that we can’t be everything to everyone and that we will have to let some things go. We’re only human. We have limits. The sooner we communicate our expectations of each other and ourselves, the sooner we can accept the fact that those limits exist. The reality is that we don’t have a contraption that gives us control over how the world spins around the sun. We have the time we are given. It’s our most valuable resource and it seems to be the only one we can’t get more of. However, we can spend our time more wisely and begin to understand more of what “balance” means. For the record, I still can’t fly.